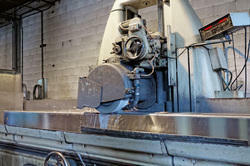 Offering you a complete choice of products which include job work plano miller machine, precision job work surface grinder and surface grinding machine job work. 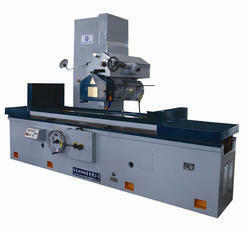 The Job Work Plano Miller Machine we manufacture is one of the primary choices in the market. Owing to its sturdy construct and high resistance to corrosion, it has a longer functional life. The performance it provides and its speed are highly acclaimed in the market. In addition, we offer this machine to our clients in several specifications and at a market-leading rate. Provided to clients at a market leading price, this Precision Job Work offered by us has a high demand in the market. We manufactured this product using the finest raw materials that are available in the market, owing to which the product is highly sturdy, durable and resistant to corrosion. Its unmatched performance is highly praised in the market. The product is further priced at a very reasonable rate. In order to maintain the quality of this Job Work for Surface Grinding Machine, we engage in using the finest raw materials that are available on the market. Finding its application in a number of industries, the performance it provides is unmatched in the market. Provided to clients at the best price possible, its demand amongst our clients is quite high. Looking for Job Work ?